This comes to us from the Schuylkill River Heritage Area… a fascinating story about the cleanup of the river – the first of its kind in the nation, in the mid-20th century. Looking forward to this! In the mid-20th century the Schuylkill was one of the nation’s dirtiest rivers. Throughout the Industrial Revolution, its waters served as a dumping site for factory pollutants, raw sewage and, perhaps most damaging of all, coal waste, known as culm. By 1945 an estimated 38 million tons of culm had accumulated in its channel. The Schuylkill was on the brink of becoming a wasteland until, in 1945, the state of Pennsylvania agreed to undertake the Schuylkill River Project. It was the first major government-funded environmental cleanup, and it dredged millions of tons of coal culm from the river. That story, the events that led up to it, and the impact that it had, are the subject of a new book, A River Again, by Chari Towne. Towne will speak at a book signing tonight, Wednesday, Dec. 19, 6:30- 8:30 p.m. at the Schuylkill River Heritage Area offices, located at 140 College Drive, in Pottstown. The Heritage Area’s River of Revolutions Interpretive Center will also be open during the event. Doors open at 6:30, lecture begins at 7:00 followed by book signing. Light refreshments will be served. There is no cost for this event, but please let us know you’re coming by calling 484-945-0200, or email ckott@schuylkillriver.org. Towne is a former Olympic rower who trained on the Schuylkill, and today works as the Schuylkill Watershed Specialist for the Delaware Riverkeeper Network. She is a graduate of the University of Wisconsin with a Bachelor of Arts degree in English and a Master of Science degree in Natural Resource Planning. The book was funded in part by a grant from the Pennsylvania Department of Conservation and Natural Resources administered through the Schuylkill River Heritage Area. Other funders include The Jerlyn Foundation and The William Penn Foundation. Researching and writing A River Again took her about four years, but her interest in penning a book about the river’s cleanup goes back much farther. “For more than 10 years I wanted to write this story, because it was something I realized most people didn’t know a lot about, or had misconceptions about,” said Towne. Nevertheless, researching the book proved difficult. Many of the project records had been destroyed, and first person narratives from project workers were not easy to come by. 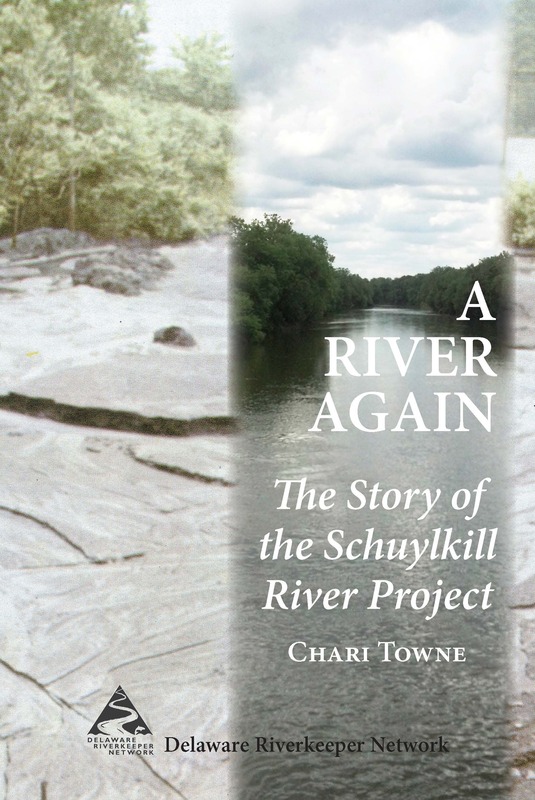 Despite that, Towne managed to unearth enough documentation and former Schuylkill River Project workers to craft her 200-plus page book. A River Again tells the story of how a series of environmentally harmful practices throughout the Industrial Revolution so defiled the river that its value as a source of drinking water was severely threatened. It introduces the politicians and environmental leaders who pushed for legislation to eliminate pollution and fought for funding to clean it. The book includes photos of the dredging project and the sediment-filled river, further illustrating the enormity of the problem and the vast effort required to remove the coal culm. Towne hopes readers come away with a greater respect for the Schuylkill and a thirst to learn more about its fascinating environmental history. “People think the Schuylkill is so polluted today. It’s hard for them to put in context just how far the river has come. I’d like to see them regain that perspective,” Towne said. The Schuylkill River Heritage Area has a limited supply of A River Again. No copies will be available from the Heritage Area prior to the book signing. 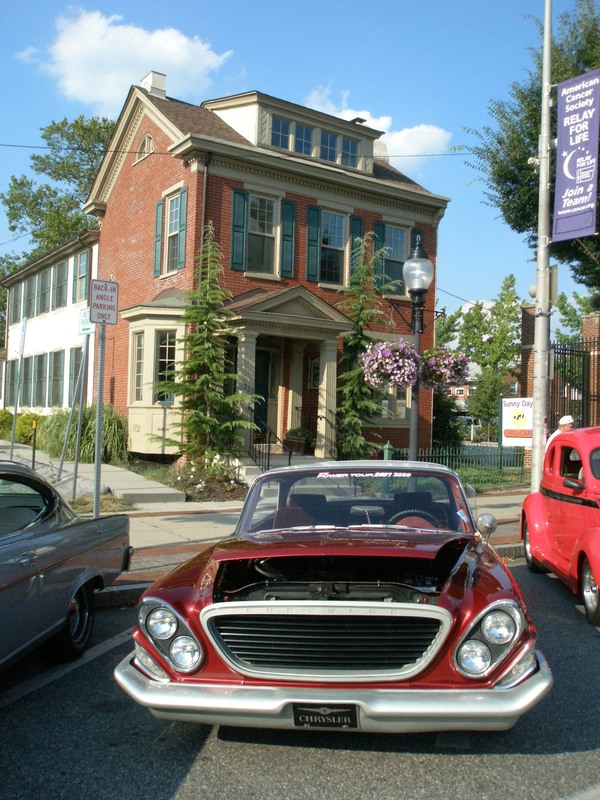 The Schuylkill River National and State Heritage Area, managed by the non-profit Schuylkill River Greenway Association, uses conservation, education, recreation, historic preservation and tourism as tools for community revitalization and economic development. Visit www.schuylkillriver.org to learn more.